As 2016 begins, a lot of companies have begun considering expansion – finding new markets, plucking from fresh talent pools, diversifying their portfolios – there are a lot of great reasons to go ahead with it. That said, many businesses find themselves nervous about making the push since there's a great deal involved. 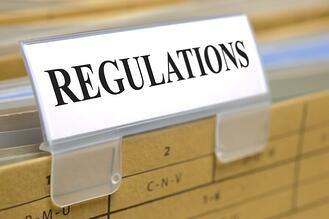 New laws to learn, lots of paperwork and administrative duties to complete – it can be overwhelming. Those difficulties, however, are precisely why more companies than ever have started turning to an employer of record (EOR) for assistance. When handed the alternative of practically starting again in a foreign environment, an EOR becomes an excellent choice for partnership and can help you expand your business more quickly, more efficiently, and with less bureaucracy. And we could all use less bureaucracy. One of the main benefits of an EOR is that by partnering with one, you're able to avoid registering your business officially with the Canadian Revenue Agency. In effect, your employer of record acts as the legal employers of any workers you want to hire and contracts them to you. Because they're an already established business in the region you want to expand to, they can operate legally and without consequence, ensuring you get all the workers you need. This means you can bypass a great deal of administrative tasks and start hiring almost immediately. Since an EOR is responsible for your employees, they handle the payroll, human resources, insurance, and all other applicable concerns. You merely need to draft up an employer of record employee agreement and you're on your way to getting started. One of the trickiest and most stressful aspects of starting a business in a new area is learning what could be thousands of new laws. On top of human rights laws, you have myriad labour codes and employment regulations to learn, as well as tax deadlines that can vary province to province. In Canada alone, how much and when you pay your workers shifts from Alberta to Ontario, from Quebec to New Brunswick, and that can be especially difficult for smaller companies to learn when they have so many other things to be worried about. EORs, on the other hand, are focused experts when it comes to Canadian law and have your back. By partnering with an EOR, you're also getting their full legal expertise and the best compliance possible to ensure you and your company remain safe. They stay up-to-date on all new laws and regulations as they update often, and are constantly training to become better and more efficient as time goes by. The money you save being able to avoid hiring a full legal team of experts is exponential and can always be put to better use. Being able to stay compliant for a lower cost though? That's irreplaceable. As you can generally see, an EOR’s job is to ensure you have as few obstacles in your way as possible while you expand your business, because they know that changes that dramatic will always be a source of stress. Their aim is to reduce that stress and make everything smoother for you. The most important thing for any business, in the end, is the ability to focus and be able to concentrate on their core goals. When you're muddling through business expansion, registration, learning laws, and struggling to understand the new environment you're in, that can severely halt operations and make it difficult to get back on track. An EOR understands that, and knows where your focus needs to be. That's why they go out of their way to ensure that your needs are being met and that you can do what you do best. By now, the benefits of an employer of record are clear to most people, and more businesses than ever have been partnering with them to the effect of cost savings, quality workers and efficiency. We know that they can make the process of business expansion dramatically smoother by acting as an employer of workers on the behalf of other businesses, which helps to bypass the difficult and often lengthy process of business registration. We also know that they place a high emphasis on compliance, which helps reduce the risk of paperwork errors leading to costly fines and penalties. That said, many still aren't aware of the other benefits and services an employer of record can offer to businesses both large and small. If you're not dealing with an EOR who's going above and beyond, maybe it's time to consider a switch. 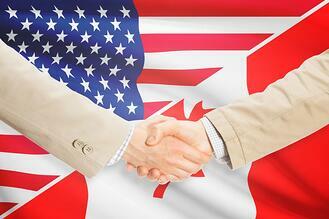 One of the challenges a US business faces when employing Canadians through an EOR is benefits. Most of the time, Canadian employees aren't covered by the benefits their US counterparts are used to, and securing additional benefits for them can be difficult and expensive. That's why an excellent EOR has packages that already include these benefits and more, so none of your employees – regardless of their location – have to miss out. Employment packages can include benefits and RSPs (which are much like 401Ks) contributions, and they come equipped with the ability to handle any expenses, commissions, allowances or more than you want to offer to your workers. Because EORs deal with a massive amount of employees, spread out over many companies, they can also get quantity based benefit package deals which would be impossible for a smaller business to get with their numbers. That means an incredible amount of savings on your part for high quality packages. Most EORs have some background in human resources and payroll, but don't place a very high emphasis on it. A good employer of record will have a very strong background in both HR and payroll, which allows their expertise to shine through in the form of ensuring increased efficiency and innovation at every opportunity. An EOR that can manage every aspect of employee interactions is not just a huge money saver, but a time saver and resource saver as well. Consider having one organization hiring your employees, managing their benefits and day-to-day needs, negotiating on your behalf, dealing with agreements and ensuring that full tax remittances are made. That means workers’ compensation, provincial taxes, employment insurance, contributions to RSPs, and other delicate financial situations. Instead of finding one system and sticking with it, your employer of record should be constantly searching for ways to develop a more sophisticated and tailored system for your business and its needs. Keeping a close eye on any legal changes that will affect employment, payroll taxation and standards, researching the latest techniques and methods and ensuring that all tools and technology are up-to-date is the least of their job. They can also manage difficult and risky situations like claims management (even investigations) on your behalf, which leaves you less to be worried about. Naturally, in business, the bottom line is extremely important. That's why a lot of businesses have found themselves shy when it comes to engaging an EOR, because many of them have a great deal of surcharges on top of a base fee, and there are often hidden costs. A good EOR will ensure you know exactly what you're getting and how much you're paying before any payroll is processed, to ensure that you're comfortable – all with no surprise surcharges or fees. Now that you know what else an employer of record can do for you, consult one and see what solutions they have for you. Employers of record are being talked about now more than ever, rising in popularity over the last few years dramatically. It's no wonder – companies all over the world have started making use of them day-to-day and they're quickly becoming a new standard of business. That said, there are some who cast doubt on the subject, not fully sure what it is an employer of record can offer them. Whether it's a large business that's already secure with in-house departments or a small business, unsure that it can make use of its services, there are myriad benefits that are tailor made for them. Find out what an employer of record can do to bolster your success and help you achieve your goals. Naturally, payroll is a fact of business and as such, is often tossed to the side and considered a mere peripheral despite its importance. We can often take for granted just how complex – and expensive – it is, and as new laws unfurl every year, it's something we need to consistently be up to date on to ensure it's being done right. Payroll law in itself is a very complex branch of employment law and with each new employee, it only gets muddied further as you have to take into account garnishments and levies, vacation and overtime pay, unemployment insurance and relevant retirement considerations. An employer of record is well equipped to handle payroll for both large and small businesses, since they can dedicate an entire highly skilled team to it. They're constantly updating their knowledge, their technology and their techniques to ensure utmost efficiency and best of all—they can handle any surprises that may be hurled your way with ease. Consider everything that's involved in human resources – even if we set aside those that also command payroll, they're fully responsible for employee accrual, registration, set up and dismissal. A human resources department is also required to maintain a respectful workplace, resolving any disputes that may arise and helping to enforce health and safety laws, as well as workplace harassment or violence clauses. They might negotiate contracts or negotiate with unions on top of all that, and that makes them a very important aspect of your business. When companies outsource to an employer of record, they also get the safety that comes with them, since they have up-to-date legal expertise and knowledge of the market. This means the minimization of risk and a lower price tag to boot. Especially in today's market, more companies than ever have been expanding into foreign markets in order to gain an edge, a unique perspective, or even just to explore a new talent pool. It's always difficult to get started, but in the end often worth it for the benefits reaped. That said, maybe companies wouldn't know where to begin and those who do never look forward to mountains of paperwork, months of registration and setting up infrastructure in order to begin hiring. This is where an employer of record is the most helpful – while they can already deal with the minutia tied to human resources and payroll, they can also expedite the big picture. An employer of record specifically specializes in employee management – meaning, they act as the legal employer of your workers in the target country you mean to expand into, and since they already have all the infrastructure and registration behind them, they can start contracting employees to you immediately. Because of this, you can forget hefty amounts of legal research and bureaucratic nightmares and start focusing on the most important aspects of your business, like operations and increasing your revenue in a new market. Consult with an employer of record and see what solutions they can tailor for you. It's generally thought that all companies would love to be able to provide benefits – not only do they keep your workers happy and healthy, but they can attract new, high quality employees to various positions across your company as well. That said, benefits are expensive and depending on the economic climate, something that comes and goes alongside financial ups and downs. For many large businesses, this may be considered less of a problem since they have abundant resources and well-established systems, but for small businesses and start-ups hoping to offer benefits to their employees, it can be an overwhelming and often crippling cost. Because of this, more companies than ever have been partnering with an employer of record, which can help to secure these employee benefits. An employer of record service provides a unique opportunity for efficiency in the workplace, especially when it comes to your human assets. The employees that you work with through an employer of record are in a special situation – you're not responsible for any of the associated human resources costs. Because they act as the legal employer of your workers, it's up to them to deal with all the tasks that come with that responsibility. That means they will handle any and all payroll issues (including taxes, remittances, garnishments, EI payments, retirement contributions, provincial and federal deposits, etc. ), as well as deal with any other peripherals required. When you consider it, the simple process of delegating or outsourcing their employment, a lot of businesses have found themselves saving a great deal of time and money from the start. On one hand, when a business factors in the cost of an entire department, it simply isn't a reality for many – but an employer of record service works on a different scale. Instead of paying the salaries of several people, you'll find yourself paying a flat rate and effectively getting the expertise of a whole department in return – and not just a hiring department, but human resources, payroll and legal all rolled into one. That speaks to a great deal of cost savings and efficiency, which can open up your budget to consider better or fuller benefits. An employer of record has a massive amount of employees working for them, given their position, since they work with a variety of companies. Because of that, they can negotiate incredible rates for benefit plans with insurance companies and suppliers that will work for your employees – rates that are impossible for smaller companies to obtain due to sheer numbers. 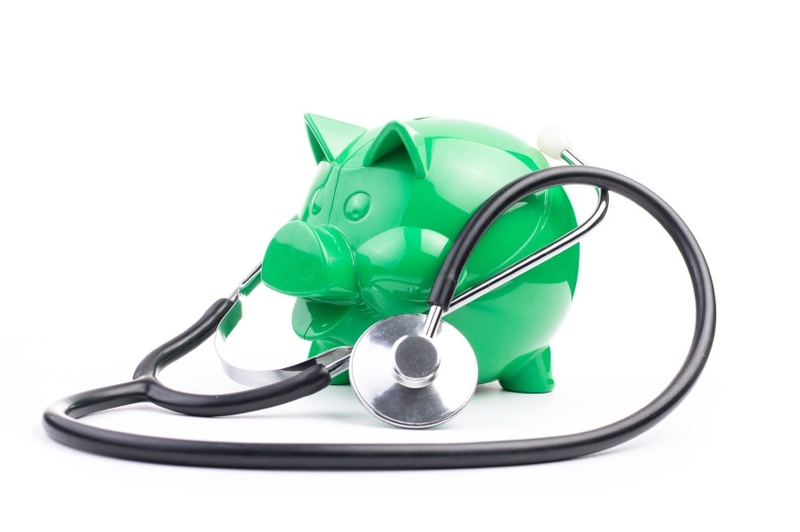 Taking advantage of this, many companies have found themselves with superb benefits, like medical, dental, optical and more, despite their small size or limited budget. As the owner, you're also able to act as a company employee and take advantage of these benefits yourself, so you're not left out. Keep in mind that an EOR is also more than happy to work out deals on your behalf with preferred providers if need be, and can negotiate on behalf of you and your workers. Because this is their business, they know how to get the most out of your budget and it's comforting to know that someone else is also keeping an eye on your bottom line. Some could argue that despite the cost of benefits, there's an even higher cost to going without in terms of employee safety, productivity and happiness. 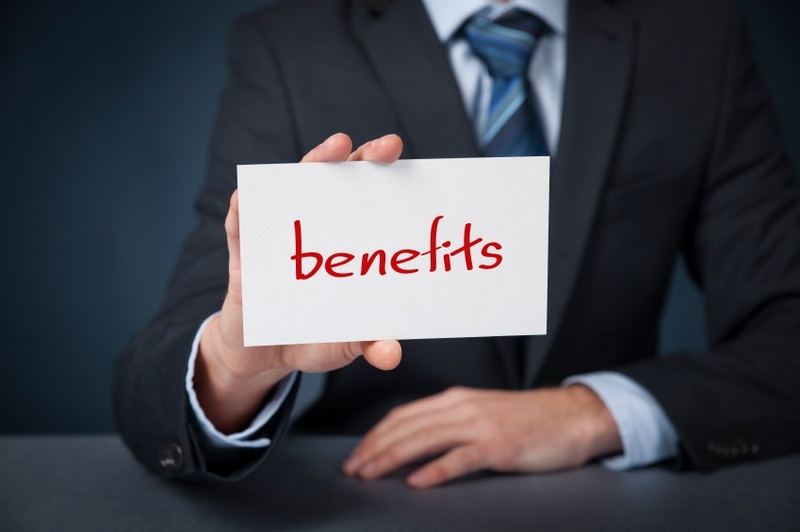 Luckily, companies no longer need to be put in a position of pressure when it comes to providing these benefits. Consult with an employer of record and see what they can do for you. 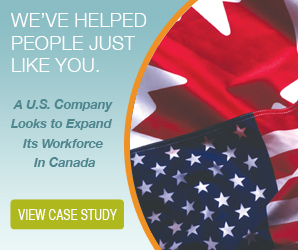 Despite the growing interest of US companies in workforce expansion into Canada, there is still some hesitation from others. It's understandable – any dramatic shift or expansion of a business is something to cause pause. Regardless, many companies have happily taken the plunge so far and will no doubt be followed by others. Perhaps that's why it's so imperative to do your research and find the answers you need to decide if expansion, in it's various forms, is the right solution for you. Luckily, we have a lot of those answers right here. There's a lot of work involved in workforce expansion into Canada, the least of which is establishing an administrative presence inside the country in order to be legally able to hire Canadian employees. For many companies, the prospect alone scares them off since it's a multi-step process involving a great deal of paperwork and compliance with new laws and regulations. It can also be an annoyance for businesses that have already worked to establish themselves in the US, or for businesses that want to begin hiring immediately. To begin with, you must first register with the Canadian Revenue Agency, which will issue you a business number. Once you have that, you have to begin setting up your tax accounts, registering for business insurance and ensuring you have the appropriate banking infrastructure. It's much the same as the process of setting up a business in the United States, but be sure to carefully pay attention to the differences – they could be fairly dramatic in some cases. When committing to a workforce expansion into Canada, it's not just legal establishment you need to be concerned about, but ongoing legal compliance, which means things like regularly filing different sets of taxes on time, ensuring your business is operating according to health and safety laws and remains up to code at all times, even as laws shift. Keep in mind that many laws change depending on the region or province you're in, so it's also important to study the area you'll be moving into, as well as any necessary federal regulations as well. It can be nerve wracking, even for companies with well-established legal departments, to have to worry about new and different laws that apply, especially in the wake of an expansion. Perhaps one of the hardest parts of workforce expansion into Canada is paying close attention to labour laws, both federal and provincial. While most of them are very much the same as most regions in the United States, there are some key differences that need to be sorted out before you go ahead and begin hiring. Classification (and misclassification) is a major issue when it comes to the CRA, since they are cracking down on companies that classify their employees incorrectly, whether purposefully or not. This can mean the difference between serious fines and levies and even jail time if not observed correctly, so it's best to ensure all your employees and contractors are appropriately filed. 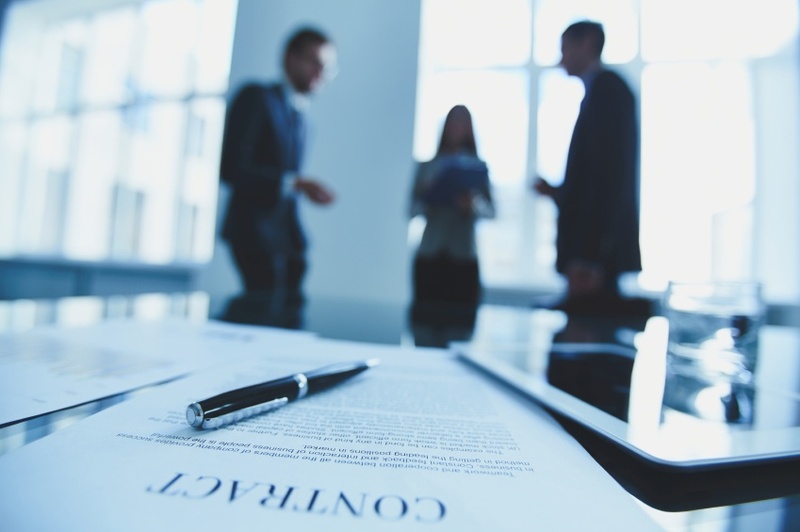 The way that your contracts operate will also differ in Canada – while some laws are virtually identical, there are some contractual clauses that are almost impossible to enforce north of the border, such as non-compete agreements. This can also mean the difference between how much you need to pay your workers, how often you need to pay them and myriad other things like vacation pay, remittances, overtime and more. It's for these reasons that so many businesses have turned to employers of record services (EORs) to not only simplify the process, but to ensure it's as smooth and efficient as possible. 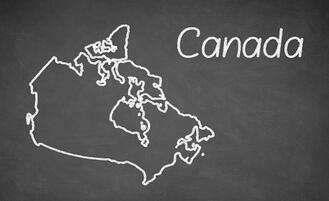 Consider a workforce expansion into Canada without all the trouble and find out what an EOR can do for you. As businesses all over the world consider global growth, an increasingly common choice for US companies is expansion into Canada. Think about it – the culture is familiar, making it easy to communicate your needs and wants; the market is strong and intrinsically tied to that of the US and the workers are well known to be intelligent, highly skilled and productive. It's a tactic that's worked for a great deal of businesses so far and this is why more companies have been looking to expand business into Canada as an option. There are so many aspects to consider when you begin to expand business into Canada; it's no wonder that many are left with more questions than answers. 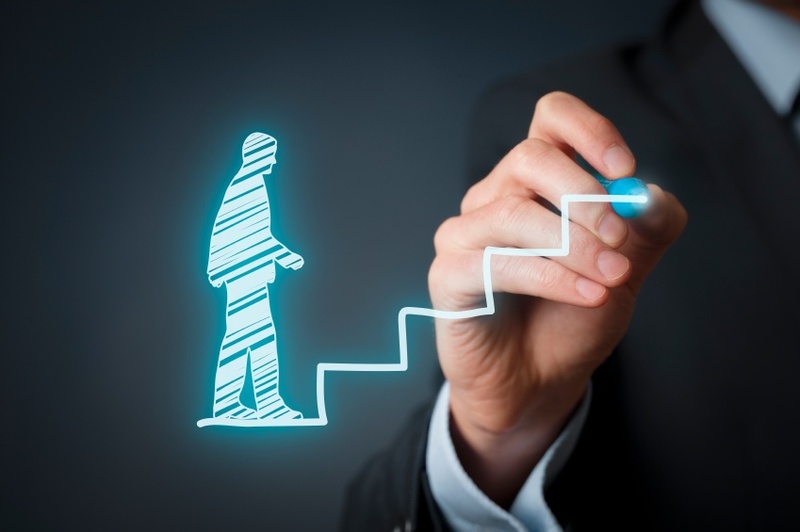 There are certain steps to ensuring success, and we can help you fully understand them. First and foremost, you need to consider the laws and regulations that are involved in an expansion. Specifically, many businesses tend to have trouble because while Canadian law seems extremely similar in a lot of ways, it often diverges depending on the region and on differences within the court system itself. Be sure to thoroughly investigate what is expected of you as an employer in the province you're working within – this can affect how much you pay your workers and how often, what kind of benefits you're expected to offer and a lot more. You'll also be required to register your business and set up an administrative presence before you can begin to expand business into Canada. You'll also need to consider complex employment reporting, tax remittances and deadlines and navigate any other regulations the CRA (Canadian Revenue Agency) is setting down. For many companies, a common way to handle this issue is to hire an employer of record, which we'll discuss in more detail shortly. When working with employees in another country, human resources can become challenging. For the most part, you likely won't have to worry much about language barriers when dealing with Canada, but it could still come up and that's just one instance of complexities that could arise. Consider hiring an on-site manager – not only has it been shown to reduce foreign employee unhappiness but it's also good to have someone who's more familiar with the laws and culture of the country and region you're working within. It's also imperative to have dedicated HR professionals who are able to ensure that all issues of on-boarding, termination, layoffs, human rights complaints, health and safety issues, contract negotiations and a lot more are dealt with professionally, legally and in a way that benefits both the company and its employees. Employers of record are an increasingly popular option for companies—especially those who want to expand business into Canada. As mentioned above, they come in handy for a lot of reasons – compliance and human resources are just two of the many benefits. 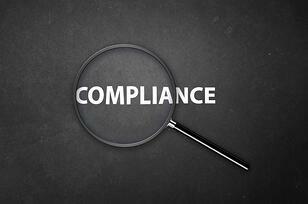 When it comes to compliance, an EOR takes a great deal of pressure off of your company. Legally, they act as the employer of your employees on your behalf, and “contract” them out to you based on an arranged rate. By doing so, you're able to completely skirt any administrative registration required to set up your business – meaning you can get started hiring and working in Canada right away. Because the EOR is your workers’ employer, they're also responsible for your taxes, their taxes, their payroll and all other issues of labour law that apply. On an HR level, they can help you to minimize costs and risks by handling all of those issues on your behalf too. This cuts both your legal and human resources budget down into a single cost, saving an incredible amount of money and resources. Truthfully, companies attempting to expand business into Canada couldn't do better than to consult with an EOR before they did. It can be immensely challenging hiring workers from another country, but the rewards have often outweighed the problems, which is why so many foreign businesses have been hiring Canadian employees as of late. Because of those challenges, however, it can be tempting to try to skirt certain regulations and laws by classifying your workers in a different way. We've all heard of companies doing it, and we've seen the trouble that is apparently saved by going that way as well, but there are actually a lot of problems with that method – problems that can lead to serious penalties in both legality and business. If you're hiring Canadians to be independent contractors, then that's fine and you have no problem. You merely follow the rules that apply to that and everything works out well. Independent contractors have different employment and legal standards, which is why it's an attractive solution for people attempting to simplify their foreign employment. That said, if you're looking for Canadian employees and you try to classify them as contractors to save yourself time, money and/or trouble, you're in violation of the law and the penalties are hefty and swift. Misclassification is a major issue and one that the Canadian Revenue Agency (CRA) has been trying to stomp out, especially when it comes to foreign businesses taking advantage of that classification to dodge taxes or laws. When you hire a worker who's not meant to work independently, you are required to follow Canadian labour laws, regardless of the country you're based in. Naturally, since you don't want to risk abusing the system or crossing the CRA, be sure you classify your Canadian employees as employees. For those businesses that misclassify and label their Canadian employees as independent contractors anyway, they will be surprised to find that they also lose a lot of rights in that situation. While your employee might be required to work 8 hours a day between 9-5, a worker labelled as independent will instead be able to set their own hours. Naturally, you can try to enforce a schedule personally, or you could take them to court – either way, they wouldn't be legally required to follow many of the rules you've laid out, even if it exists in the form of a contract. They'd even be legally able to subcontract their work to others if they needed to, and this leaves you with next to no control over how they complete the work you've given. For most who intended to hire an independent contractor, this is exactly what they're expecting and not a problem. For someone who wanted an official employee, however, they'll be in for a nasty surprise. It's a complicated situation, that's clear enough, and this has a lot of foreign businesses concerned about how to easily, efficiently and cheaply manage Canadian employees. While dealing with regulations, infrastructure and tax filings sounds like a complicated pain, misclassification isn't the answer either as you can see. That's why so many have turned to EORs (employers of record) as partners in their ventures into the Canadian workforce. For US businesses, they'll be familiar with the type of organization as they're known as PEOs across the border. Effectively, an EOR is already set up to do business in Canada and are well familiar with all laws and requirements that are expected of an employer. This means they have the infrastructure, insurance and registration to hire legally in Canada without all the hassle. As a partner, they would become the legal employers of your Canadian employees and as you pay them, they will hire, manage and pay your employees for you, as well as handle all necessary taxes and compliance within the workplace. Forget skirting laws with grey areas and illegal activity – hire an EOR, maintain full control and never worry about breaking the law. Especially if it's a business's first time dealing with an employer of record, it can be difficult to know what that employment agreement looks like. Being a relatively new partnership in the global marketplace, it can be confusing and sometimes even feel contradictory to traditional agreements that we're more accustomed to. As an EOR acts as the legal employer of your workers, it's your contract with them that dictates what your employees are asked to sign. That said, while there are a lot of provisions that are allowed in a traditional contract, there are others that are not. Confused? Luckily, we can help. Here are a few things you can and can't include in an EOR Employment Agreement. As a business, each of your regular employees is covered by legal insurance, but this could also mean health insurance, etc. Because you're dealing with an employer of record in this case, it can be asked that provisions are made to ensure that those employees are covered by appropriate insurance as well to protect you from any issues on legal, safety or harassment grounds as the situation requires. You can also specify a minimum number of hours per week, and put provisions in place for authorizing overtime if need be. This ensures your workers are contractually obligated to do their required duties, despite the fact that the contract is between them and the EOR. The employer of record will ensure these minimums are met on your behalf. For added protection, you're more than able (and often encouraged) to include non-solicitation and non-disclosure agreements to ensure those workers don't share industry secrets or attempt to independently deal with your clients. This is an excellent provision that helps foster trust in the workplace, especially in one with a third party employee manager. To ensure the comfort of everyone working for you, whether they're full-time employees, independent contractors or workers through an EOR, you should ensure they that know and abide by any health and safety policies you may have. It's best to have workplace violence and harassment policies in the contract as well. These can both be (and should be) included in your agreement, to make sure the employer of record is aware of what you require of your workers, working on-site or from home. 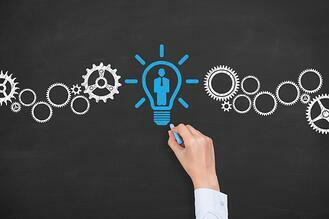 An often overlooked “can't”, is that a business should not include their employee manual. This may seem confusing, and is such a standard that many businesses go ahead and do it anyway, but the fact is it's not advised. Because the agreement is between the EOR and the employee, your manual has little to do with that relationship. While you're able to include some provisions from the manual (like health and safety, dress codes, etc. ), you can't expect these employees to abide by your full manual, since they don't technically work for you. As with most things, you're not able to ask for anything that contradicts labour codes or standard in the region of your employer or EOR. If you attempt to, you can open yourself up to legal trouble and will find that most of these are not legally enforceable to boot. Make sure you're well familiar with the standards in your operational region before you decide to include anything in an employment agreement to protect yourself and the employee. Realizing that your employees are actually legally employed by an employer of record means that while you have some control over any signed agreements, you can't dictate as much as you usually would. Bear that in mind and feel free to ask your partner what they can offer to you advice wise to ensure you get the most out of this relationship. Of all the important things your company does, one of the most overlooked aspects for people who like to focus on the big picture, is legality. Naturally, we all regard compliance as important and do whatever we can to stay above that line, but laws are changing constantly – regardless of the region you're operating within. While considered to be a peripheral, legal compliance is at the heart of all we do and it can be hard to keep up. It's not just businesses who flagrantly ignore laws that get into trouble either – it can be well meaning businesses like yourself who make simple mistakes who can find themselves in heaps of trouble. That can mean costly fines, penalties on operation, jail time and a serious hit to your reputation, all for one or two little mistakes. Because of that, it's no doubt one of the most complicated aspects of business and one that has a lot of small businesses, especially those considering expansion, sweating. When expanding into a new area – for example, another country – compliance becomes even more complex. Not only do you have to abide by your own region’s laws, but now you have a whole new set of regional laws to consider. Those laws can and will affect how long your employees can work, how you pay them, the extent of your operations and more and this has a lot of companies hesitating to make the move. First and foremost, a company needs to establish a presence within that country and that means mountains of paperwork that needs completion according to business law and governmental regulations. Things like account registration, filing remittances, finding the appropriate insurance all need to be considered. You'll need to familiarize yourself with new payroll laws, labour laws and other employment regulations before you can even begin recruitment and pay attention to the finer differences in laws that seem familiar but likely aren't. Any mistake could cost a company a lot, but thankfully there are services specifically and expertly designed to navigate these things for you. An employer of record (EOR) is a fantastic service dedicated to handling the legality of expansion on behalf of businesses just like yours. To save you the trouble of establishing yourself within a new country, they would act as the legal employer of your workers – meaning, as an already established and registered company, they would handle your payroll, insurance, governmental accounts and all other related tasks. This saves you months of paperwork and makes your expansion not just easier, but a lot quicker as well. While they handle the setup for you, they will also aid you in the long run. An EOR will ensure they are constantly up to date in any new regulatory changes, employment standards and labour laws and will adjust your strategy accordingly, which means you don't have to expend any extra money or time researching relentlessly to ensure you remain compliant. Another beauty of an EOR is the ability to maintain control over the aspects that are the most important to you, things like recruitment and employee management or day-to-day operations, while ensuring that compliance is happily taken care of in the background by the experts. They'll handle a great portion of HR duties to further ease the transition and make sure to cover things like processing payroll, filing annual taxes and collecting any business benefits that apply to you. They can package deals on retirement and benefit plans which also speaks to a great deal of cost savings on your part. In that case, it's not hard to see why so many companies have begun hiring EORs in order to remain compliant when it also equates to saving time and money. Why not spend those resources focusing on your real goals, and leave the legality to your EOR? It seems that expansion is on the minds of everyone as the economy begins to improve and prospects begin to look steadier. Many companies have expanded their operations within their own backyards or to other regions within their country and had a great amount of success, but what about companies that are considering extending even farther? The world seems to be getting smaller all the time and it's a better time than ever to expand into another country entirely. As educational and labour requirements become more standard, working within other countries and hiring foreign employees to add to our talent pool becomes a lot easier and that's why it's an increasingly attractive option. That said, there are still complications to be considered – establishing yourself in a new country with new laws always brings challenges. While many companies feel that the rewards outweigh the cost, it's important to look at what those challenges are before any decisions are made. By a wide margin, the largest challenge for businesses expanding into new territories is foreign employment compliance. For those that don't know, foreign employment compliance refers to laws and regulations that apply to your new employees, whether they're your own laws or the laws of the country you're expanding into. Employment compliance is a necessity, regardless of where you go and needs to be followed to the letter. This can be gravely complicated for many businesses, especially for those that are small or those who are only now making the shift for the first time. In essence, this means a great deal of research and information gathering on all the regulations, rules and policies that will apply to your new workforce and this can be exhausting to even think about it. In many countries, the laws might seem familiar to ones you're already used to, so you might think you already know what you're doing. The fact is, however, even laws that seem the same can be vastly different and can change case by case, province by province – they can even change depending on the class of employee you're dealing with. Perhaps the most intimidating aspect of all is that if mistakes arise, they are not so easily forgiven. 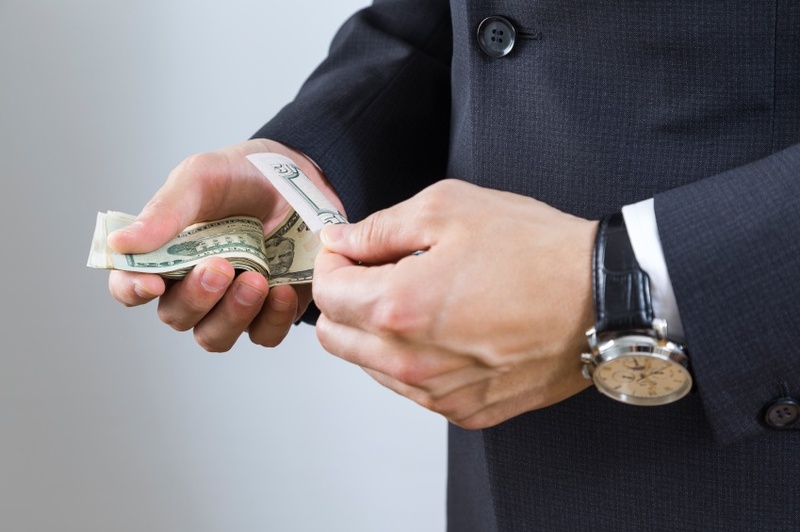 Making simple errors like misclassification, registering the wrong accounts or even filing a T4 too late can result in costly penalties, fines and even jail time. That's why when it comes to employment compliance, a great deal of smart companies minimize as much risk as possible by hiring an employer of record (EOR). What Can an EOR Do? An EOR is a service that specifically partners with businesses committed to expanding into new areas or companies that prefer to simplify their employment compliance overall. Effectively, an EOR acts as the legal employer of your workers and they would take all the responsibilities that came with that title. Aside from not having to concern yourself with business registration and establishing a presence in your new country of operation, an employer of record would use their expertise to navigate the complex legal waters of employee management on your behalf. This means they'd deal with all things related to your workers – this means they would abide by local and international labour laws, payroll regulations and any legal research necessary to ensure they are always timely and compliant. An EOR will handle your taxes and already comes with the insurance and infrastructure necessary to operate within the region, which saves you an incredible amount of time and bureaucratic trouble. All in all, an employer of record service is becoming an increasingly effective and popular method when it comes to employee compliance. Not only does it severely minimize any risk associated with establishing yourself in a new country, but also partnering with experts saves copious amounts of time, research and money in the long run.